Which Country Makes the Best Cars? Whether you’re in the market for a new vehicle or want to know if you made the best choice with a purchase, knowing where the best cars come from is a helpful piece of knowledge. However, to a certain point, the country that claims the title is somewhat subjective. There is no one country that earns first place in every performance and functionality category. While some countries produce vehicles consistently strong in a few categories, it is important for you as the consumer to know which factors are the most important to you. While Japanese-made cars may have the second least impressive towing capacity and second lowest acceleration in comparison to other countries, they excel in many other categories that make towing and acceleration seem somewhat irrelevant. In our opinion, Japanese-made cars are among the most reliable we have seen and happen to be our specialty at Highline Car Care. We believe that reliability is one of the most important factors when it comes to car ownership. Japanese produced cars also tend to have the lowest maintenance costs, which can really benefit their owners. Britain is definitely a top contender in performance categories. Surprisingly, they are in first place for horsepower and towing capacity, both by wide margins. Their win in the towing category is largely due to the Land Rover and the fact that only vehicles made for towing were considered. However, it is one of the worst in fuel efficiency, seating capacity, and is the second most expensive on average. Just as surprising as Britain taking first place, Italy only beats Japan and Korea for horsepower. However, as you’d expect, they’re first in acceleration and top speed. Being the fastest and lightest comes at a cost, though. They are the most expensive vehicles as well as the least safe, offering the lowest seating capacity. While purchasing American made vehicles is a popular and honorable value, the United States is not a leader in almost any category. While they do take second place in towing capacity and are among the least expensive, they are one of the lowest in acceleration and the last in top speed and weight. They also have the second to lowest smart ratings and one of the lowest safety ratings. However, the safety ratings are very close for most countries, between four and five on a scale of five. As far as seating capacity and fuel efficiency, they sit comfortably in the middle. Germany is in the middle in almost every category, but they are second to Sweden in their safety rating. Slightly lower than the United States in gas mileage and seating capacity, they offer dependable functionality with fewer bells and whistles. They are among the more expensive cars, finishing out the top three which are all found in Europe. Korean vehicles often sit right next to Japan, almost always closely following. This includes second place in fuel efficiency as well as taking up the rear in towing capacity and horsepower. Their smart rating and safety rating are both average. Their vehicles are the second lightest, after Italy. There is only one category where Korea is the leader, and that is MSRP, offering the lowest average prices. Like Germany, Sweden is unremarkable in most performance categories. However, their safety and smart ratings are the highest. They also offer the most seating space. They have average horsepower and are among the heaviest vehicles on the market. There are benefits and deficits with vehicles from any country and there is no definite answer for everyone. 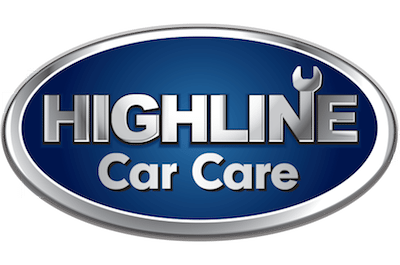 No matter where your car was manufactured, you can depend on Highline Car Care for the skill and capability to find and repair any problems your vehicle may have. From a simple tune-up or oil change to navigation system maintenance and preventative car care, we have everything you need to keep your vehicle in the best possible shape. 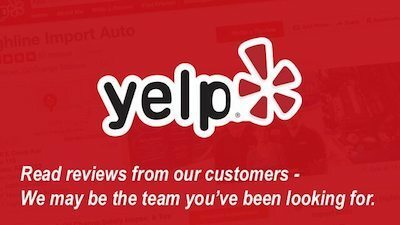 Contact us today to schedule an appointment and find out how we can care for you and your vehicle. https://www.highlinecarcare.com/wp-content/uploads/2019/01/country.that_.makes_.the_.best_.cars_.jpg 400 1000 Wes Hawkins https://www.highlinecarcare.com/wp-content/uploads/2017/08/mesa-auto-repair-shop-highline-car-care.png Wes Hawkins2019-01-18 01:03:152019-01-18 01:03:15Which Country Makes the Best Cars?